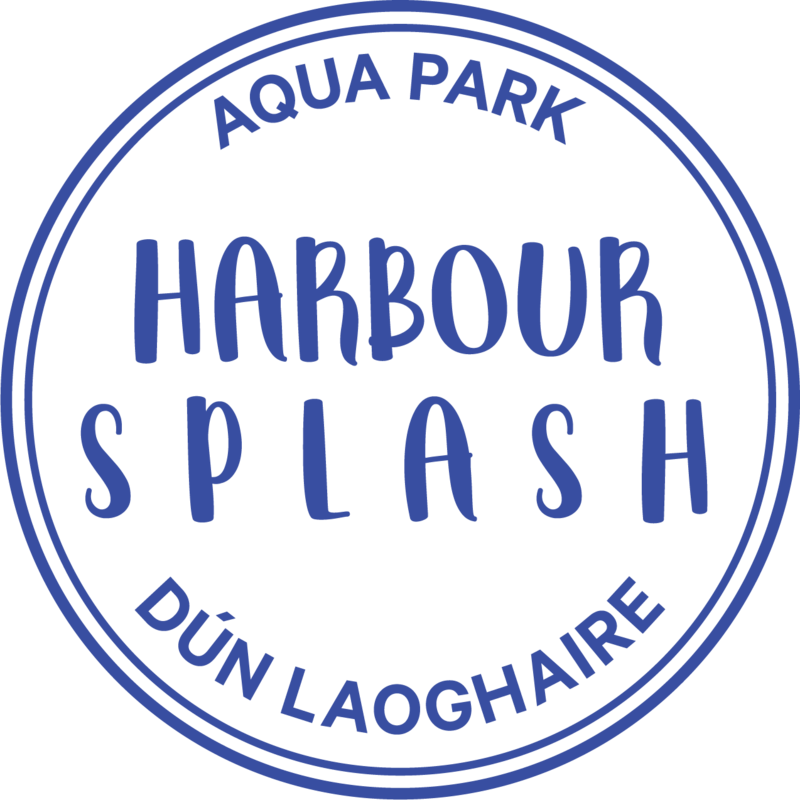 Book your school tour at Dublin’s first inflatable water park in Dún Laoghaire Harbour and avail of our special deals for school groups for primary and secondary schools this August/September. An obstacle course over water including trampolines, climbing frames, slides, monkey bars and more is great fun for all ages and skill levels. We are running special deals for school groups all through September 2018 for only €14 per child for groups of 10 or more people. The teacher goes free. In total for your time with us you should plan around 2 hours including check in, getting changed, a safety briefing and one hour fun on the park (it is possible to book a double session with the second session being half price). Private hire of the park is available for groups of 30-50 people at €14 per person. Upon arrival with us, all participants are equipped with wetsuits, buoyancy aids and soft helmets. 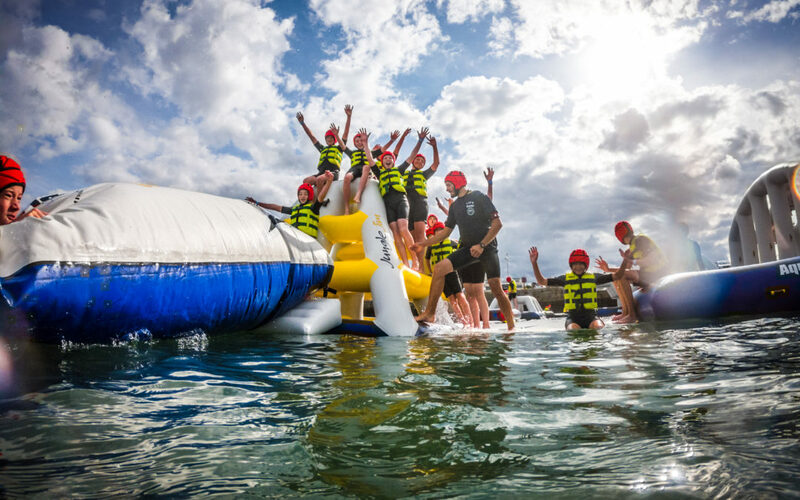 After our safety briefing participants will be ferried onto the park on our fleet of giant paddleboards and once on the park will have around an hour to splash, climb, bounce, jump and slide on the features. Wetsuits, buoyancy aids and helmets are provided free of charge. Participants need to bring swimwear and a towel. No footwear is needed on the park. The minimum age to go on the park is 6 years. Participants need to be able to swim with a buoyancy aid on. A waiver has to be signed ahead of time for all participants. We are located inside the west pier at Dún Laoghaire Harbour, a short stroll from both the Salthill/Monkstown or Dún Laoghaire DART stations.